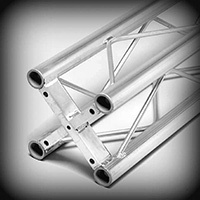 Square Truss - Stronger than triangular truss, ST offers a realistic load capability in clear spans of up to 12 metres. Of special appeal to hire companies is the square format eliminating the problem of apex orientation, and the innovative "6-way "cube" removes the need to stock a multitude of junction options. 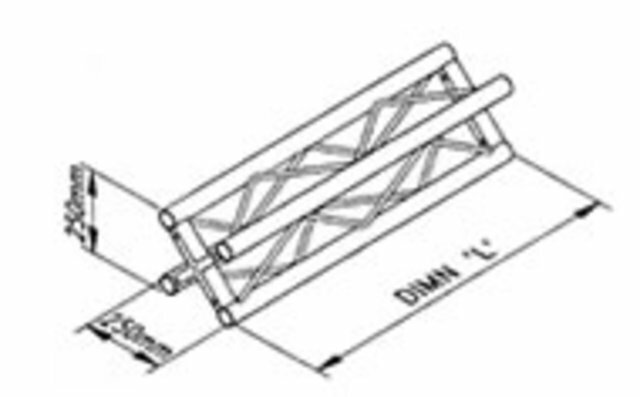 If the full truss junction appearance is required, then of course these are also available. Typical applications for ST include lighting grids, stage lighting support systems, and exhibition stands, where the combination of strength, clear span and stock versatility is optimised. To create more elaborate structures, we can design and manufacture an infinite variety of custom junctions and adaptors.